AFR-IX will be attending both West Africa Com in Dakar and Subsea EMEA in Marseille. The events will take place on 10 and 11 July at the Radisson Blu Hotel and World Trade Center Marseille Provence respectively. Representatives Louis Carver, Chief Commercial Officer, and Jesús Serrano, and Key Account Managers, will be at West Africa Com and Norman Albi, CEO, will be attending at Subsea Marseille. West Africa Com unites the West African Francophone and Anglophone Technology, Media and Telecoms Markets. 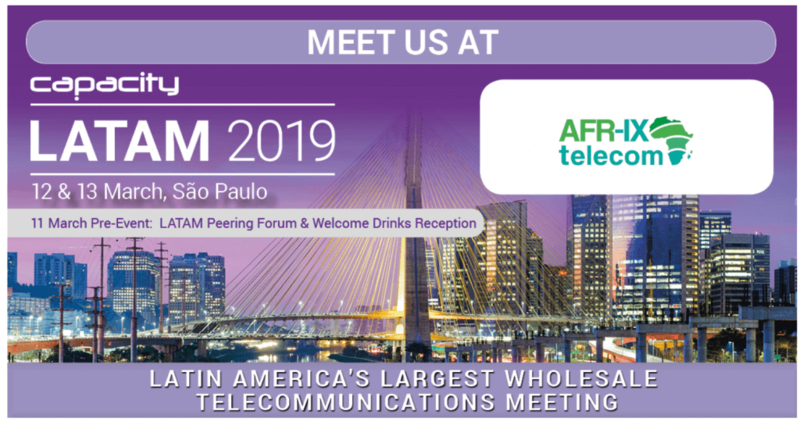 The event will be focus on how the telco value chain can leverage its assets to deliver low cost broadband connectivity and digital services to the consumers and enterprises of West Africa. Marseille, the international subsea terminal hub, is hosting the 2nd annual Subsea EMEA after a successful inaugural last year. This leading industry meeting for the commercial subsea experts will bring together more than 350 senior leaders from more than 150 companies to explore new offerings in the largest subsea-focused exhibition and hear the subsea c-suite debate the future of this thriving market. Subsea Marseille will cover topics such as the new cables launched or launching, formulating a financing method for subsea cable model optimization or how to evade hot waters. If you are so excited as us to be attending the conferences, send an email to booking@afr-ix.com and arrange a meeting with the team.